It's been two weeks at the Slow Carb Diet. How am I doing? Recently, much has changed in my life. 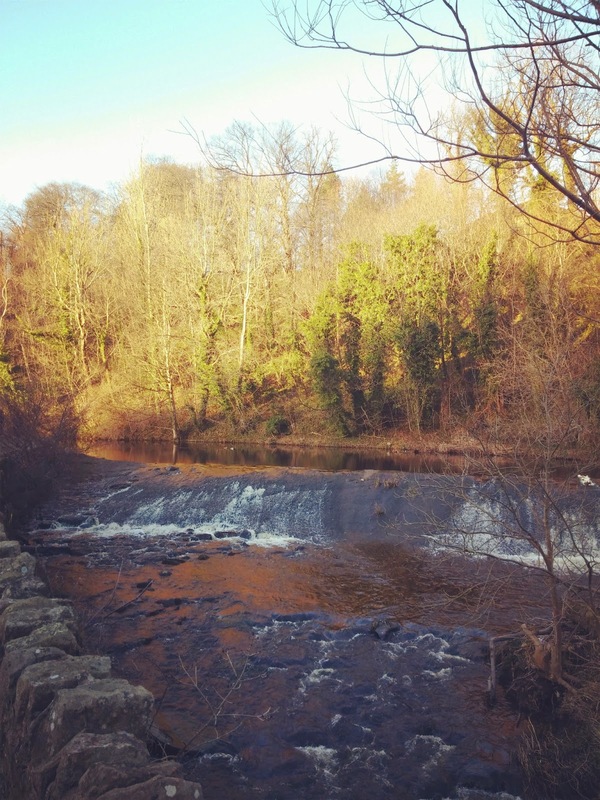 I moved to Edinburgh, I started a new job, and I also took upon 30 - day challenge doing the Slow Carb Diet. 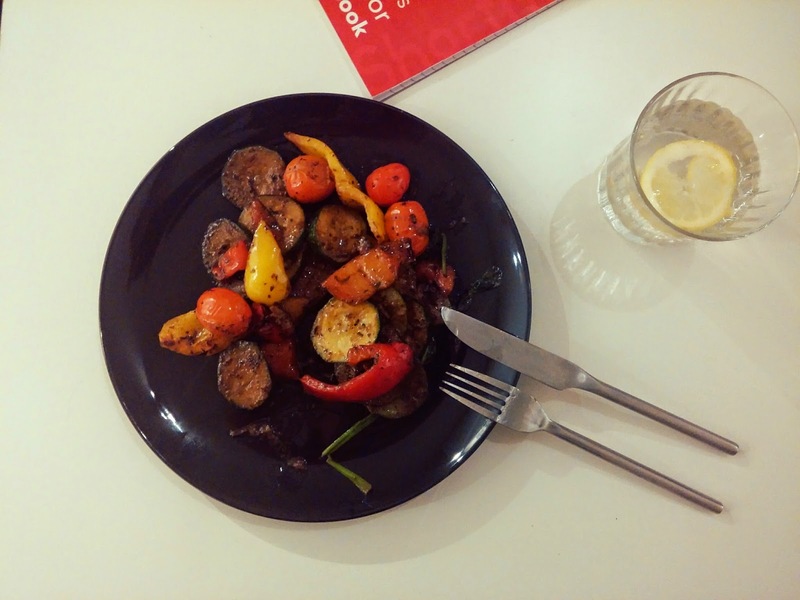 It has been few days since I try to eat accordingly with the diet’s principle and I want to share with you my thoughts. Well… how am I doing? The answer is: VERY GOOD! At first it seemed to me that the constant eating of meats, vegetables and beans will be unbearable, but honestly with time it turned out that preparing meals in accordance with the diet, is actually very tasty, the portions are big, and I am losing weight faster than ever. In today's post I will describe briefly what I eat for breakfast, dinner and my favourite day of the week in other words on the cheat day. Snacks and lunches I will leave for another occasion. Breakfast is an important meal of the day and I always try to have it no later than 45 minutes after getting up. I would often eat scrambled eggs, baked sausages with vegetables, and salads for example with tuna. 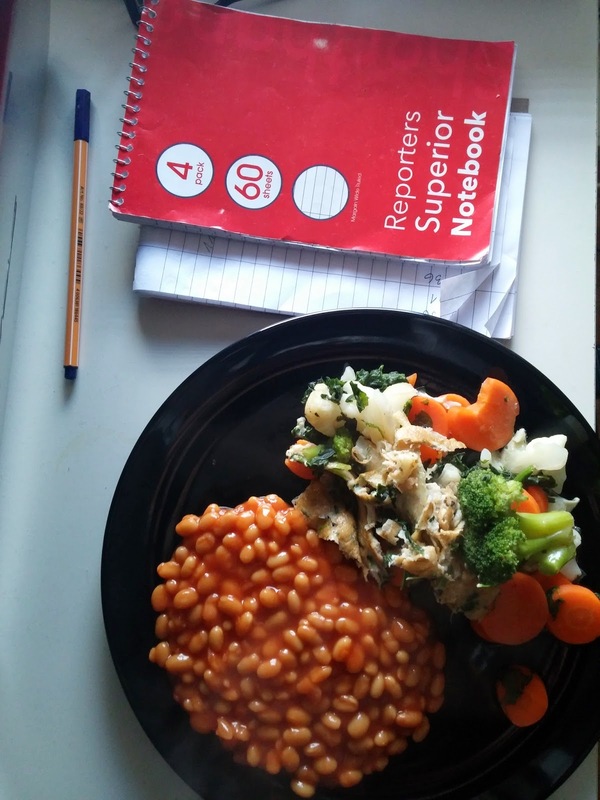 Here, in the picture I had some scrambled eggs with vegetables and baked beans in a tomato sauce with the addition of cayenne pepper. I eat dinner always around 8pm and I generally choose vegetables as an option for example of fried fresh vegetables with garlic butter and herbs. 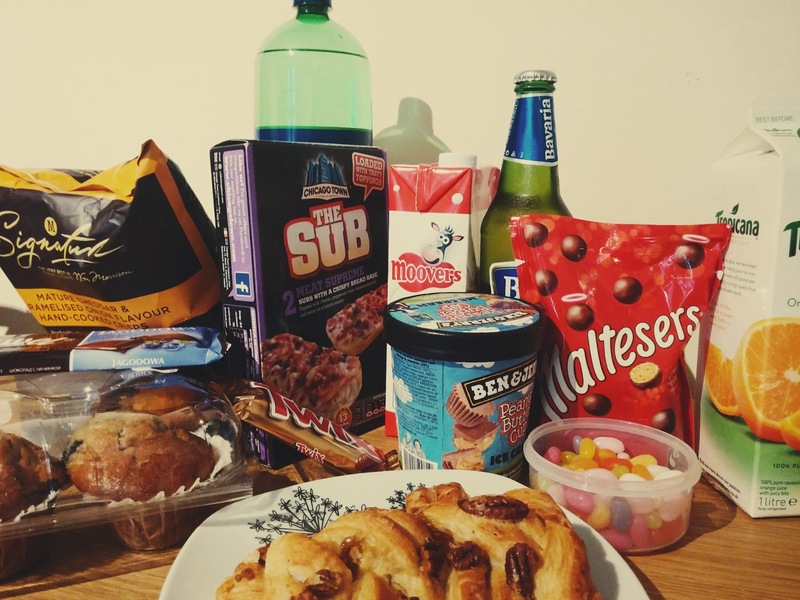 During the whole week, I stick to the rules of the diet, and everything what I want to eat but I can't I would buy and eat on Saturday - a picture below. Even though I feel like a big balloon after a day-long indulgence, my weight still goes down anyways! Sounds too good? But it's true! Slow Carb works wonders! - First, arrange the menu for the whole week, I know this is hard to imagine all of the meals for the entire week but it helps to control what you eat. - Try to do the shopping only once a week, so you buy only what is necessary. - Try to eat the meals at the same time every day. This will guarantee that you will not be hungry as our bodies like routines! - It is best to choose a cheat day on a day when you do not do much and spend most of the time at home as this is when we tend to eat more. For me this would be a Saturday also because this is when I go out in the evening with friends and enjoy eating out and drinking some alcohol at a party. - Believe me, you can't last long on a diet, if every day you are going to have the same thing over and over again. I tried with chicken and vegetables, it just gets too boring and demotivating. Try to look for different recipes and eat meals that very in ingredients. In Slow Carb Diet, once a week you can eat everything you want! 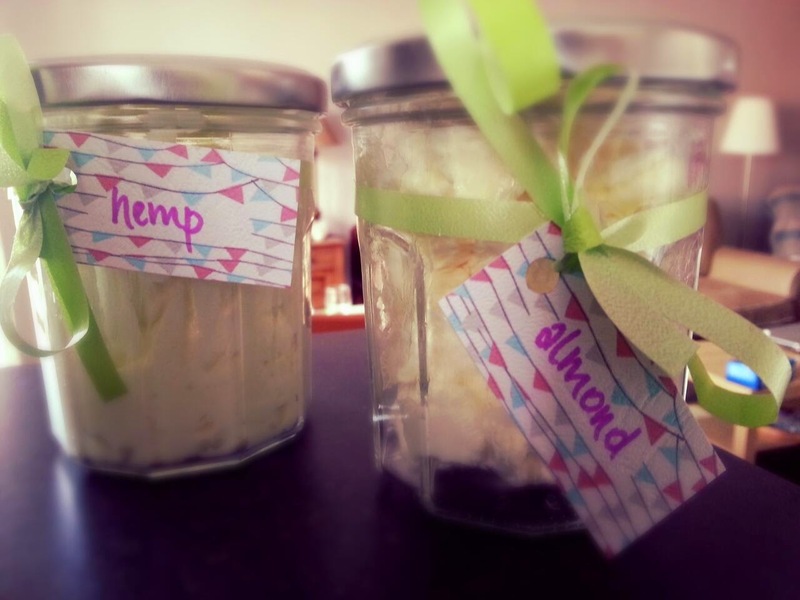 In today’s post, I would like to talk about homemade natural cosmetics. I have been experimenting ever since September 2014 and I am now a devotee to couple of interesting and easy to make substitutes for store bought in products. I am not completely converted yet, as I still use make-up products but then you have to start somewhere and in my repertory of daily use of products, I now use natural soaps and shampoos, homemade antiperspirant and natural body butters. I even tried to intensify my natural hair colour with some homemade solutions. I will try to cover each of these topics in the next series of posts. But today, I will show you how to make your own body moisturizer or body butter. Which is very simple to make and honestly a great product. For me this is it, I will never buy a body lotion/butters or other similar product from the shop. No need, this does the job soooo well and it is all 100% natural!! So what you need to know is the ratio. And this vary slightly from recipe to recipe but not too far. You need 70% to 75% of solid butter (e.g. shea, mango or cocoa) and 25% to 30% of liquid oil (e.g. coconut, hemp, sweet almond, olive, avocado, etc.) So for example: 1½ cup of shea butter and ½ a cup of coconut oil liquid or solid (depending on where you live, both work just fine). This was the ratio I used for my very first body butter and I can confirm, it works!! To this, I then added couple drops of vitamin E that helps to preserve it. And this lasted me for months! However, today, I would like to try something new and I will make two small batches rather one large. My ratio for this will be: 50% shea butter, 25% coconut oil and 25% either hemp or sweet almond oil and I will add some essential oils for scent. I have decided to try to use the hemp oil as it is known to treat redness, cracked and dry skin. And the sweet almond oil as it is overall nourishing and it helps to soothe skin’s irritations and inflammations. I will let you know in my next post, whether there is a difference in results of the two products. But, then… you need to know, that there is no one simple solution for all. So you need to try different oils to find which one suits your needs best. When it comes to essential oils, it is a rather personal choice. Here, I am using a lemon eucalyptus for its lovely smell, but you can also use: lavender, sweet orange, tea tree, rosemary, lemon, etc. This is where you can really personalise your cosmetics. - But the butter and oil in a glass bowl and place it in a pan of simmering water until all is melted and combined together. 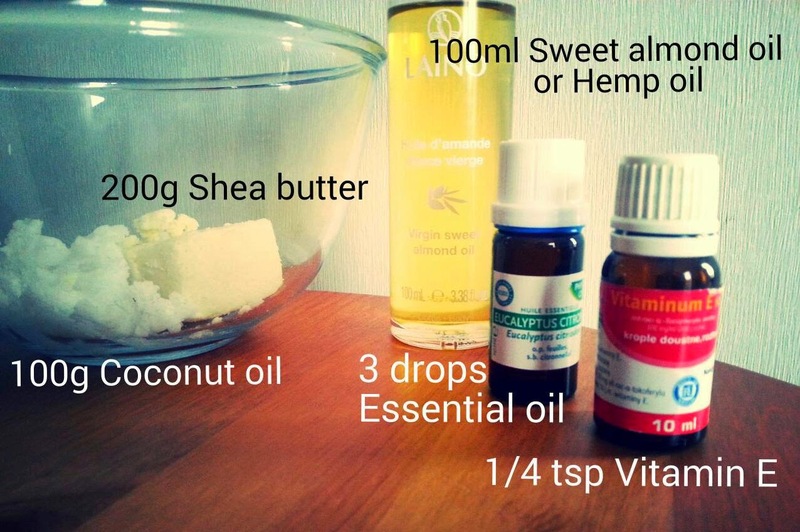 - Add either hemp or sweet almond oil. Mix well. - Cool it down and put in a fridge until it all sets back together. - When ready, add the vitamin E and the essential oil. 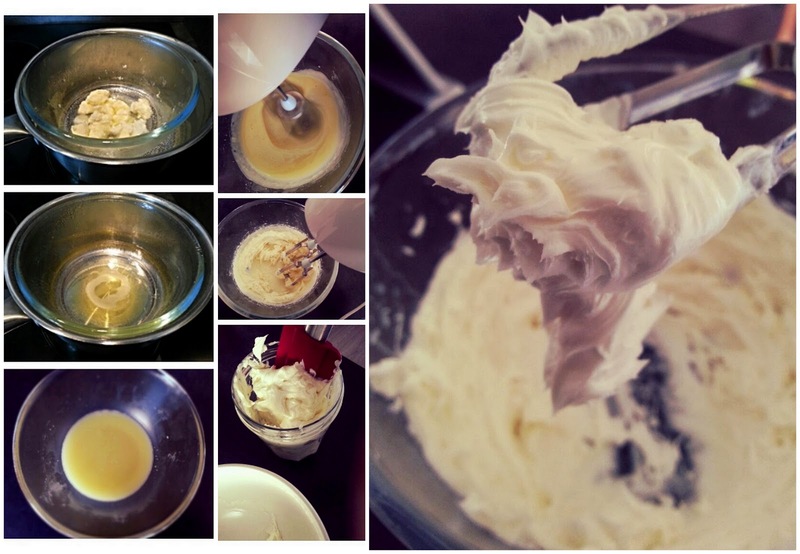 - Whisk with an electric mixer until it looks like a whipped cream. - Transfer to a jar and enjoy! The reason I ever started to think about natural cosmetics, was because I have a very sensitive skin prone to reactions. Whether it is due to cold weather outside or dry air inside, stress or actual reaction to chemical ingredients, I tend to get these dry itchy patches. And these are no fun to look at nor to live with. And the products bought from the pharmacy did little at best and mainly nothing at all but yet they are very expensive. So I started to read about homemade solutions and it turned out, there are many people who either have a similar skin problems or want to simply give it a go to this natural idea of products and have now as I have their life changed. There are many blogs out there and many personal journeys… so I invite you to do your own little research and who knows you might end up creating your own range of cosmetics as it happened to me. Here are few blogs that are worth exploring: Rawmazing, Wellness Mama and a Facebook group for Polish readers Kacik Kosmetyczny. 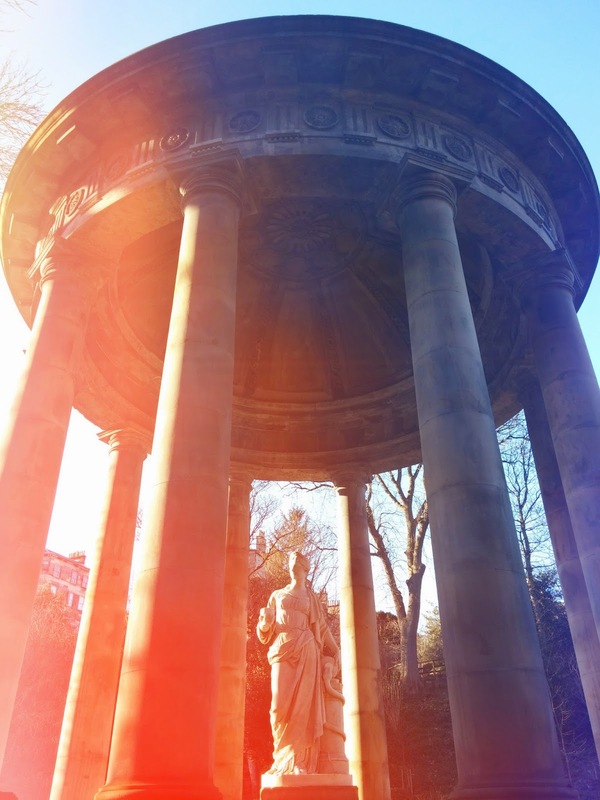 Edinburgh is a city of mystery. I didn't think that every day I could discover something new here. There are so many beautiful and fascinating places everywhere around. No wonder, the city is very popular with tourists, wondering around the main sites: the Old Town, the Arthur's Seat, the Edinburgh Castle, the Holyrood Park and the Royal Mile. And, I am sure, everyone who have been in Edinburgh, has probably visited those places. 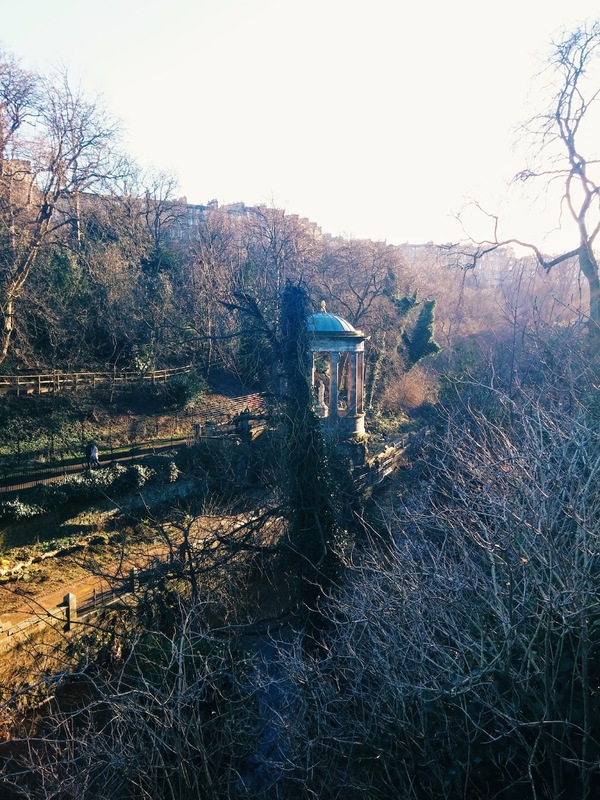 But there is so much more to the city than these above and Edinburgh has so much more to offer. Today, I would like to focus on those ‘less’ popular sites of the city that I personally really like. 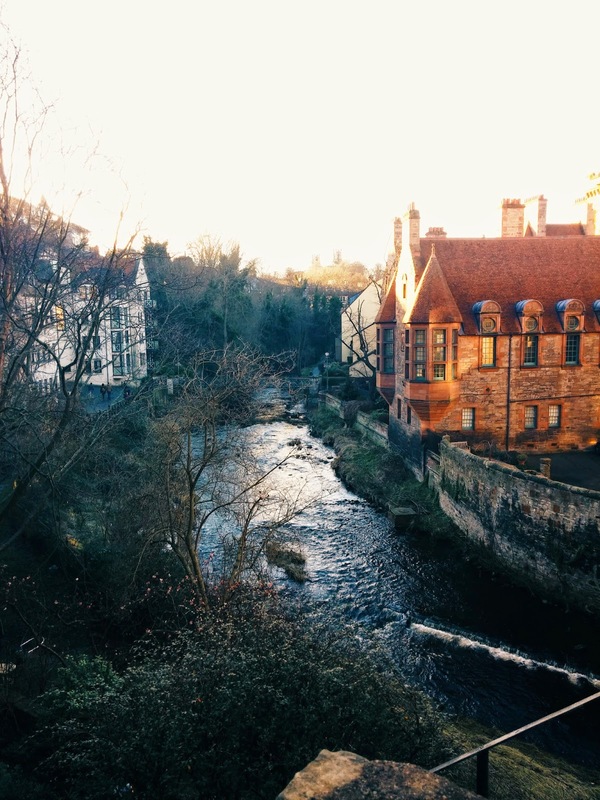 For instance, Dean Village. 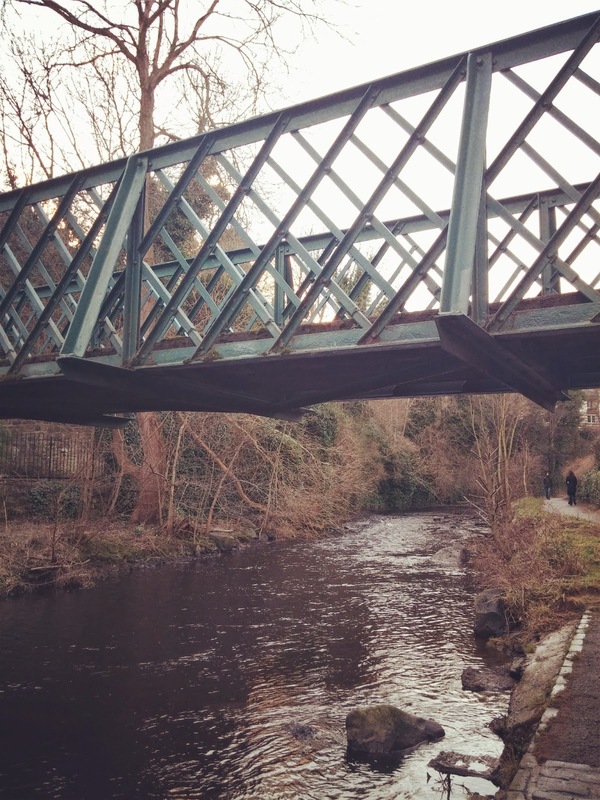 Path along the Water of Leith river is almost 20 km long and it is perfect for a Saturday walk or a bike ride. It was definitely built so to look good in pictures. Everywhere you go, you can see beautiful sceneries and buildings. 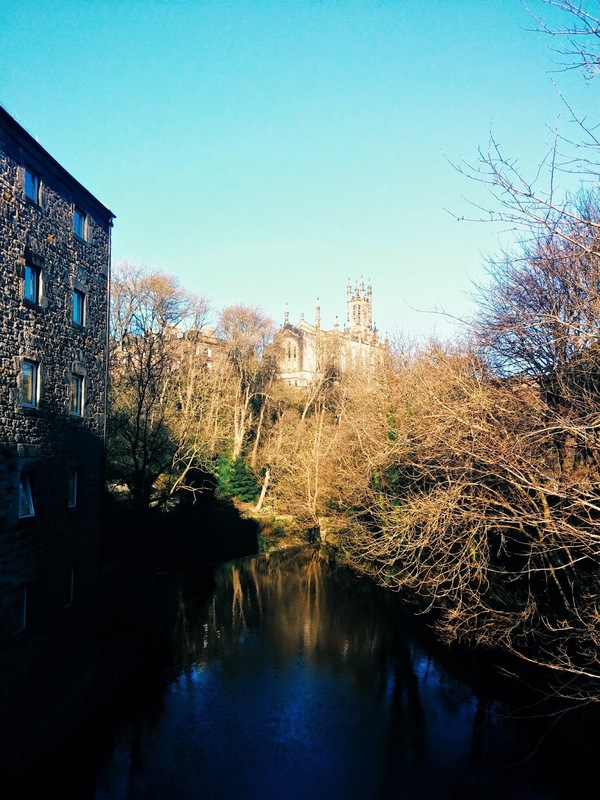 A bit of fun facts, Dean Village built more than 800 years ago. It was the milling village which supplied Edinburgh with flour and bread. Now, this is one of the most expensive areas to live in in Edinburgh. 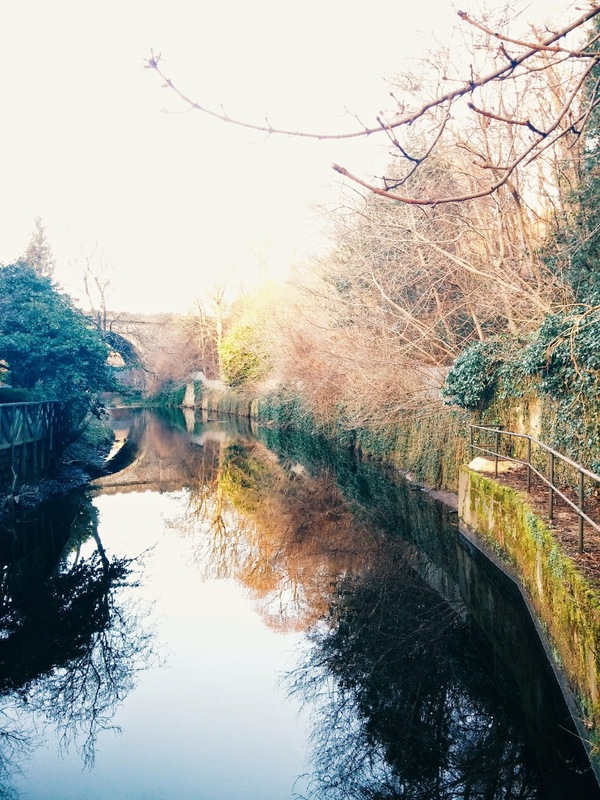 I went for a tour of the Dean Village few weeks ago and I was lucky with the weather, with February’s sun out and warm temperatures it was a pleasure to have my look around. But I cannot wait to the spring even more, it will probably be even more beautiful then. Here's a wholesome recipe packed with dietary fiber, vitamins, minerals and delicious taste. Also, very suitable for my brother’s slow carb diet or honestly any diet. This is low fat, low kcal and just healthy! 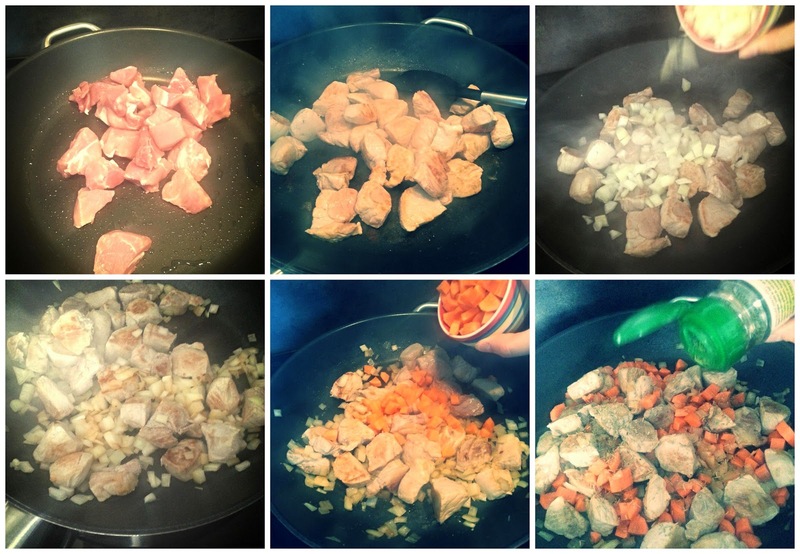 It is a little bit more complicated than my previous recipes but it makes a great change to pasta, rice or potatoes. 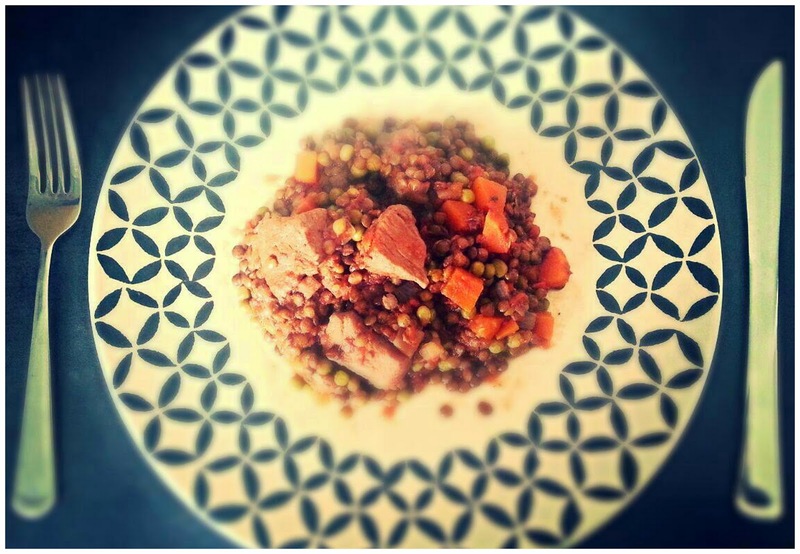 It is one of those easy in one pot dishes with a right combination of meat, vegs and legumes. 1. Start with browning the meat on a preheated pan with a little bit of oil. When the meat is browned all over, add onions and mix well. Cook for about 2 minutes then add carrots and sprinkle all over with rosemary then mix again. Cook for further 5 to 7 minutes. 2. Next, add water so it covers the meat. 3. 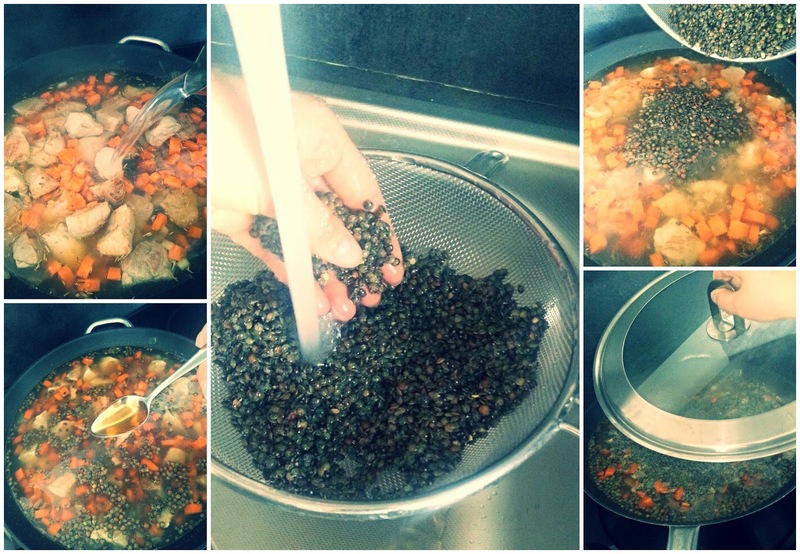 Wash quickly lentils on the sieve over the sink and add them into the pan with the vinegar. Mix so that everything is well incorporated. 4. Cover the pan with a lid and slowly cook for further 30 minutes. 5. When the time’s up, add the tomatoes and purée. Mix well and let it simmer for another 5-10 minutes until the sauce starts to get thicker. Here, you can also add the green peas. 6. Add salt and pepper to taste and this should be now good to serve. I love this recipe both with meats and as a vegetarian meal. For another quicker meat version it goes perfectly with sausages. Although, I would cook those separately on the side. 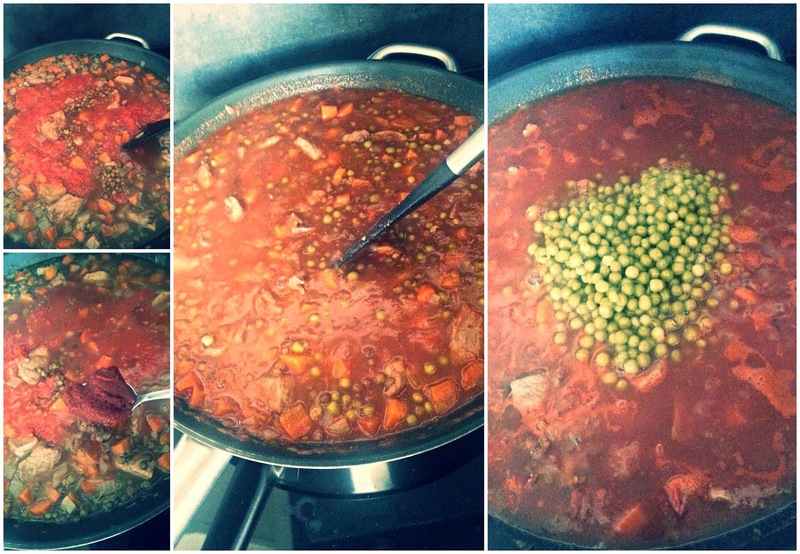 For a vegetarian version, you can skip the meat part and cook the lentil stew using only vegetables. It is great served hot but I also love eating leftovers the next day cold. Making it into a salad with adding some chopped cooked beetroot and some feta cheese. It is sooooo good!! 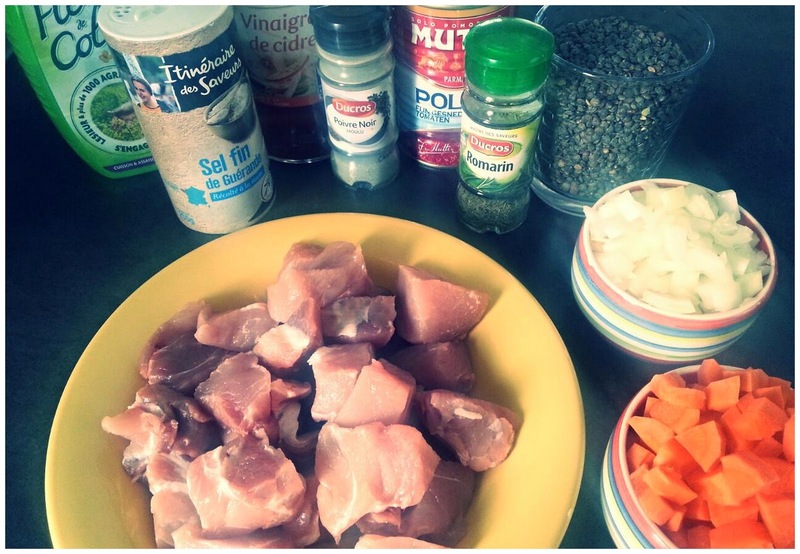 I hope you like it and don’t forget to tell me what you think not only about this recipe but the blog all together. Hi, I’m Anna and together with my brother Bartosz, we would like to welcome you to our blog. This is our way of sharing interests, recipes, experiences and thoughts with you as well as with each other. We live away from each other, and this blog is a way of keeping us close. I’m currently living in Rennes, France and my brother is in Edinburgh, Scotland, and we’re from Poland. So all these little details hopefully will help us to create something interesting and who knows might inspire you in some way. Green goodness or simply broccoli soup. Does a Slow Carb Diet actually work? Porridge. Is there anything better?